All too often we are prompted and guided and expected to say yes. Yes to that beer, yes to staying late at work even yes to splitting the food bill when you only had water and a small salad. We say this word to easily when really it doesn’t make us happy. Let’s clear the decks a second and stop focusing on the yes or things you want. Let’s turn that positive and apply it to a negative process. Write down five things you’re currently doing in your life that by the end of 2015 you’ll stop or cut out and that more importantly you don’t want to be doing. Sit down take a hard long look at yourself, this does require utter truthfulness of yourself but trust in YOU. You’re the one person in control of your happiness. 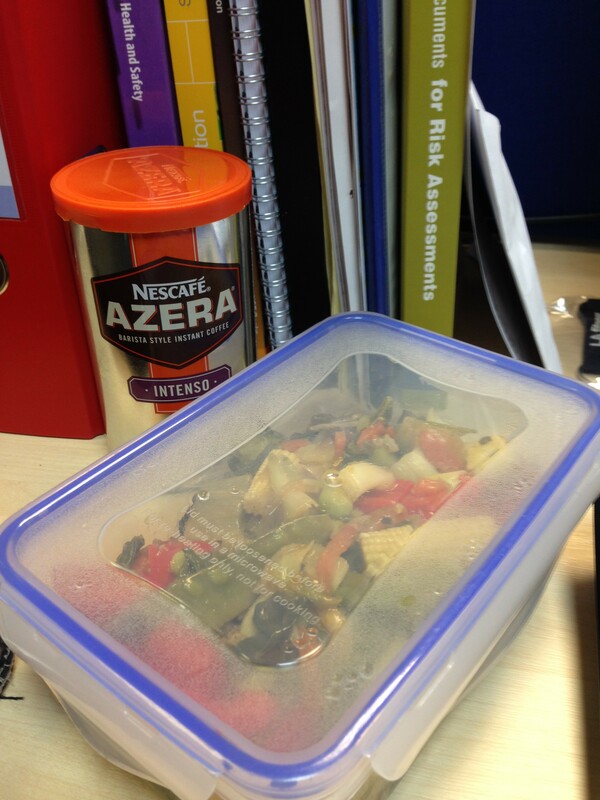 1………….. Not buying food at work and making bad lazy food choices. Done? Great! Re read and make sure you’ve got things in this list that leave you feeling uncomfortable. Now with these five don’ts lets write down five yes’s that will underpin you achieving these don’ts. This is a behavior a habit something you can do differently but the don’t is the reason for doing it. You can see my example in the lists, I don’t want to keep making bad food choices and wasting money everyday. But if I focus on the YES of HAVING to make food each evening I forget why I’m doing this. But by reminding myself that I DON’T want to buy food at work and I DON’T want to make bad food choices, this will motivate me to make a behavioral change its called (A,B,C explanation below #. 1…….. Making food every night for work the next day. Now, here’s the tough bit! The yes’s are what you want to achieve and the don’ts are things you want to stop. By focusing on what you want to stop (you’re don’t list & you’re behavior) for example “I don’t want take the tube to work” now tie that with your “yes” which might be “I’m going to cycle to work” you’re focusing on what you want to stop doing rather than all the effort and thought going on what you need to change. The process as I mentioned is called (A,B,C) Action, Behavior, Consequence. This is your don’ts, the thing you want to stop which is at the start of the cycle. We focus of changing this rather than what the outcome or “yes” is of us carrying this action out. Behavior, this is what you now do after the action has been changed. You were motivated on taking action, now you’ve changed your behavior as a result of the action. Here we go, changing your action has led to a behavioral change right? And you’ve now doing it?! (Please tell me you’re doing it!) So as above in my case I’m now cooking and regularly taking food into work, each evening I get home and make the effort to cook (behavior) food knowing that tomorrow I’ll have my food (Consequence)and that makes it so much easier for me to achieve my YES! PHEW! if you made it this far down WELL DONE! That’s some serious staying power people. But finally before I sign off, it’s about the end of Jan we might be fading from those new year life changes, will power only has so much mental strength right? Try this ABC and writing it down and if you find you’re doing something because you feel you should rather than you wanting too. Then again get back to A and change the action you are carrying out. This can be applied from morning runs to new jobs or relationships if you DON’T want to be doing it break the cycle and change your action. Ive also used this kit on my scoot LEJOG, Paris-London Ultra run and Liverpool-Leeds scoot..
Head torch or some form of lighting! I sleep really warm so haven’t been using one, just running leggings, base layer, light down jacket. I did progress to a heavier down jacket in September and for Halloween sleep out I use a light summer bag (Mountain Equipment) I’ve been given a North Face super light 800 series bag (£280) which is a god send, best thing is it’s a centre zip, so sleeping on my side and being restless means I don’t wakeup with my face in the hood of the bag! I’ve got a tiny one that only covers my torso from thermarest Its second hand found on eBay. Its the neoair version that packs down to the size of a coke can , think I paid around £60. I’ve a big comfy down one I brought from Cotswold outdoor that’s £20, have today brought a £5 inflatable one to save pack weight and size! (Can also double as a swim float!!) I have now moved on from both of these and take a 10L dry bag and stuff my down jacket in to use as a pillow, it saves weight and means items used have more than one use. I’ve got a expensive Jetboil (Xmas Present!) one which was £120. I’ll be honest it’s bloody amazing but don’t go blowing a heap of cash and it’s not an essential until your going alone! And we are never that far from a flipping coffee shop these days..
I’m using a range from Ledlensor amazing value for money they are light weight and super high output, everyone comments on how bright they are… I also take my rechargable front bike light with me, just in case. Using a NorthFace 32L pack I was given in 2014 and recently wrote about, I get all my gear in with space to spare, It’s come with me on my three week scoot LEJOG and four day Ultra where I carried a tent, I’m now on the hunt for a 15L ruck sack as I want to get my gear down as small & light as possible..
I’m using a super lightweight green tarp from DD Tarps,It weights 400 grams and packs down to the size of a tin of beans. I love this so dam much, its a great in-between of tent and bivvi bags. Takes 5 minutes to pop up, can be used against hedges, over tree branches, between two tree’s or even turn your bike up side down and use it as a prop. Sticks work as well! Seriously amazing piece of kit kept me dry on many a night out. Do try these out, I spent £50 on mine but they come smaller for one person, it’s a must use item with the changeable weather in the UK. Warm gear, I’ve not brought anything, my sleeping clothes have been: shorts, socks (have a thick pair too, just in case) running leggings (not to everyone’s taste) a long sleeved base layer, light weight down jacket and just a big silly woolly hat, that’s my kit list! Again as the Weathers cooled I moved over to a Rab waterproof microlight down jacket. I do sleep warm (or am just a fatty) so if you feel the cold always take an extra layer with you! So below is a list of stuff, price ranges, what you can get away without using and what I think is an investment. 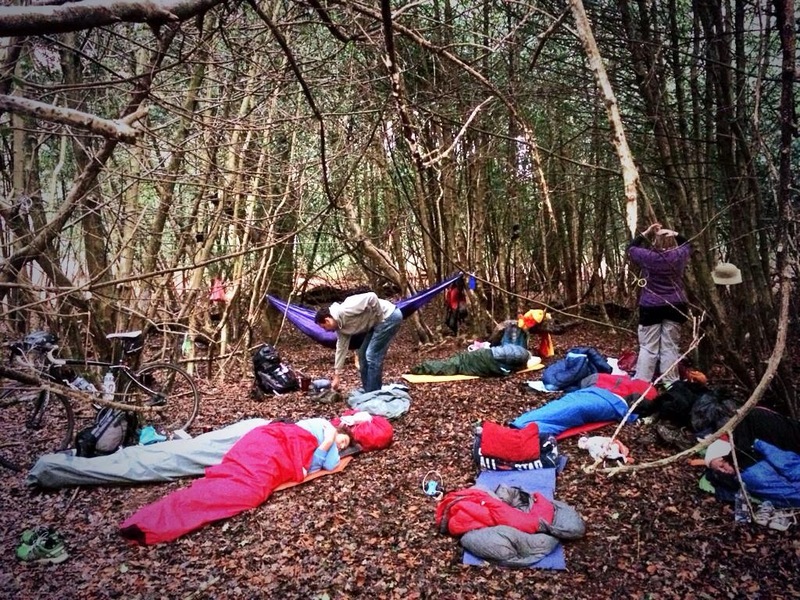 If your new to this sleeping rough game it could take a few months to get all the gear you need to now might be good time to start ticking stuff so by spring you are fully lit and ready to smash the sleeping out vibe..
Or another great choice is Alpkit hukka, they do a standard size for £30, or a XL, if your a larger human or two very small humans or like extra room which is £45. Sleeping bag, again decathlon do a nice compact one for £30, you can also look at Tesco or on eBay, you’ll not need anything huge or expensive. Try to keep pack size down and weight at below 1000g. They come with mainly two fillings, down (mostly heavier but warmer and not to amazing when mixed with water) and synthetic (not a bad choice for lighter summer use and smaller pack size) all my summer bags are synthetic they can be washed and take far less looking after.. Right, key to a great nights kip! You can pay up to £150 for these or go for a yoga mat for £5. This is the one item I’d invest in. Best types are self inflating ones by thermarest which run at around £80-£110. Again look at decathlon or halfords/Tesco. or like me the second hand ebay option. ALSO, an inflatable can be used for surfing and dabbling in the rivers after you’ve slept on it. Now that’s a multitasking tip right there! You can use your rucksack as a pillow if you want or the other choices are simple inflatable ones or lovely posh down travel pillows. Prices between £5-£35. You might want to bring along a dry bag and your jacket can be stuffed into that to make a pillow. Head torch, again you’ll pick these up from most shops if you’ve not already got one! If you’ve got the cash I’d invest but no need to spend more than £30-£40 tops…. You can get them for £5 but you pay for what you get. if you’re adventurous try candles in a jam jar! Hope you’ve got a few of these! I guess the idea is to do these over night adventures as light as possible and not be bogged down with weight, so 20-30 litre sack should easily fit all you need in! With space to spare.. Again if you know you pack like a diva either have a word with yourself or try and borrow a larger one until you can get down to a sensible size. Alternatively I’ve been out on a wild camp with someone who used a Ikea bag, they slept just as well as the rest of use too…. Don’t be scared to be different! Just in case it does go cold, if your on open ground or by the sea and if it’s a clear night it can get nippy. Also for waking up in the morning we all like to be nice and snug don’t we! Doesn’t have to be crazy just a woolly hat, thick fleece/light down jacket and a waterproof just in case…..
That’s me, a quick post as i’m sat looking out at the blue inviting sky, gather your gear hunt out the last January sales stuff and get prepared for the summer of sleep outs. I must have met 100 people in 2014 from doing this its in expensive, fun makes you realize how much time we waste at home sharing at the dreamy box of death and seriously one night feels like you’ve had a extra weekend. One of the most liberating fun things to do, just warn the people you work with they’ll think your mad but will be intrigued and want to try it too. The first rule of micro adventures is tell and invite everyone, we should all try sleeping under the stars at least once, I mean really whats the worst that can happen? ?